To Reveal is to Know. To Know is to See. Image Pro II gives you the advanced tools you need for more clinical skin analysis. No longer will you need to rely on inadequate digital photographs when comparing treatments and evaluating results. 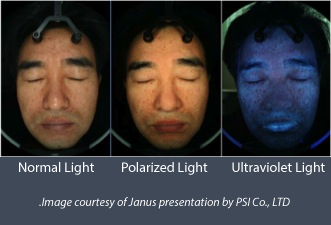 With the powerful combination of Exclusive 3D Spectral Imaging, Targeted Complexion Analysis, and Triple Light Source Analysis, you can present proof-positive evidence of your client’s current skin condition and recommend treatment with incredible accuracy.